Gannett Co., Inc., parent company for the USA TODAY NETWORK which currently comprises USA TODAY and 109 local media brands including Arizona Republic and Indianapolis Star, today announced the acquisition of an industry leader in golf publications, Golfweek, effective immediately. Golfweek will join the USA TODAY Sports Media Group, an “Official Media Partner” of the PGA TOUR since 2012, and part of the USA TODAY NETWORK which has more than 110 million unique monthly online visitors. The acquisition of this premium brand will accelerate Gannett’s efforts to be a leader in the golf vertical by adding Golfweek to For The Win! Golf and USA TODAY Golf and the NETWORK’s more than 5 million unique monthly avid golf fans. 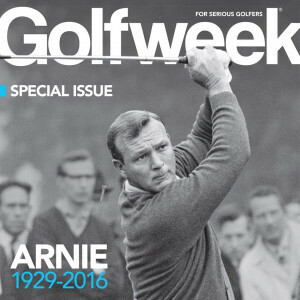 The acquisition of Golfweek’s industry-leading editorial team, events business and Golfweek Custom Media will add significant value to Gannett’s suite of audience-focused, content-driven sports business, as well as an unmatched relationship with golf’s core demographic community. Golfweek has been the leading producer of event programs for some of golf’s biggest tournaments across the PGA TOUR, LPGA, PGA of America and United States Golf Association, including the 41st Ryder Cup. Also, since 1997, Golfweek has produced “Golfweek’s Best” annual Top 100 courses rankings from a panel of 750 evaluators rating more than 3,600 courses. Morgan said Golfweek will continue to focus on being an authoritative voice in professional, college and amateur golf, in addition to growing its events and custom publishing businesses. Golfweek’s headquarters will remain in Orlando, Florida with offices in New York City, Los Angeles, and McLean, Virginia (where Gannett is headquartered).